Members of the erstwhile Board of Directors,being vitally interested in resolution plans that may be discussed at CoC meetings, must be given a copy of such plans as part of "documents" that have to be furnished along with the notice of such meetings. The Supreme Court today declared the right of members of the suspended Board of Directors of a corporate debtor to receive insolvency resolution plans submitted before the Resolution Professional, in order to effectively participate in the meetings of Committee of Creditors(CoC). The bench of Justices R F Nariman and Vineet Saran was dealing with the the case Vijay Kumar Jain vs Standard Chartered Bank and others, an appeal filed against orders rejecting the prayer of an erstwhile director for getting copy of the resolution plans from the RP. Both the NCLT and NCLAT ruled that appellant had no right to receive the resolution plans. 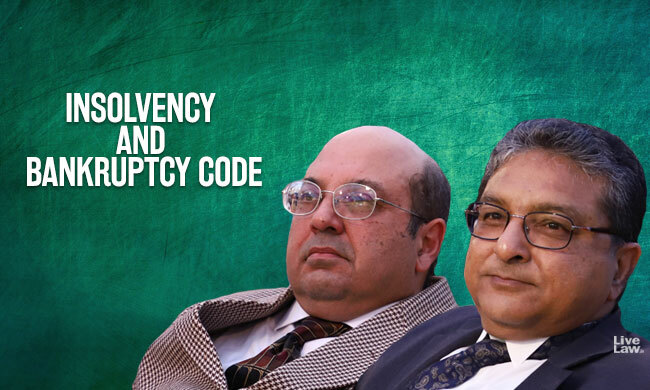 The appellant submitted in SC that as per Section 24(3) of the Insolvency and Bankruptcy Code(IBC), RP has to give notice to the members of suspended Board of Directors for participating in the CoC meetings. Under Regulation 21 of CIRP Regulations 2016, the notice of these meetings shall not only contain an agenda of the meetings but shall also contain copies of all documents relevant to the matters to be discussed. Since an approved resolution plan is binding on the erstwhile directors under Section 31(1) IBC, they have a vital stake in the issue, and some of them may have offered personal guarantee for the corporate debtor. Therefore, the appellant argued for the right to access resolution plans. The RP and the CoC opposed the plea, contending that only the CoC was entitled to have resolution plans, as per Section 30(3) IBC read with Regulation 39(2) CIRP Regulations. Relying on the Notes on Clauses to Section 24 of the Code, they argued that the members of suspended Board of Directors are permitted to participate in CoC meetings only for the purpose of giving information regarding the financial status of the debtor.They further relied upon the proviso to Section 21(2) which,according to them, made it clear that a director, who is also a financial creditor, has no right to participate in a meeting of the committee of creditors. Considering the arguments, the bench ruled in favour of the appellant. It observed that the statutory scheme of IBC and CIRP Regulations made it clear that "though the erstwhile Board of Directors are not members of the committee of creditors, yet, they have a right to participate in each and every meeting held by the committee of creditors, and also have a right to discuss along with members of the committee of creditors all resolution plans that are presented at such meetings under Section 25(2)(i)". The Court expressly rejected the argument based on Notes on Clauses to Section 24 of the Code that members of suspended Board of Directors are permitted to participate in CoC meetings only for the purpose of giving information regarding the financial status of the debtor. It held that the Notes on Clauses to Section 24 were totally misconceived, as it contained several problematic stipulations like RP seeking information. The resolution professional does not seek information at a meeting of the committee of creditors,. Also, the resolution professional does not prepare a resolution plan as is mentioned in the Notes on Clause 24; he only prepares an information memorandum which is to be given to the resolution applicants. "Even assuming that the Notes on Clause 24 may be read as being a one-way street by which erstwhile members of the Board of Directors are only to provide information, we find that Section 31(1) of the Code would make it clear that such members of the erstwhile Board of Directors, who are often guarantors, are vitally interested in a resolution plan as such resolution plan then binds them", the bench observed. The Court also noted that every participant is entitled to a notice of every meeting of the committee of creditors. Such notice of meeting must contain an agenda of the meeting, together with the copies of all documents relevant for matters to be discussed and the issues to be voted upon at the meeting vide Regulation 21(3)(iii). "Obviously, resolution plans are "matters to be discussed" at such meetings, and the erstwhile Board of Directors are "participants" who will discuss these issues. The expression "documents" is a wide expression which would certainly include resolution plans", held the judgment authored by Justice Nariman. "Therefore, a combined reading of the Code as well as the Regulations leads to the conclusion that members of the erstwhile Board of Directors,being vitally interested in resolution plans that may be discussed at meetings of the committee of creditors, must be given a copy of such plans as part of "documents" that have to be furnished along with the notice of such meetings"
The judgment also clarified that the RP can taken an undertaking from the erstwhile director to maintain confidentiality of the information, as per Regulation 7(2)(h) of the Insolvency and Bankruptcy Board of India (Insolvency Professionals) Regulations, 2016, read with paragraph 21 of the First Schedule thereto. "Directors, simplicitor, are not the subject matter of the proviso to Section 21(2), but only directors who are related parties of the corporate debtor. It is only such persons who do not have any right of representation, participation, or voting in a meeting of the committee of creditors"